Our Goldens have a great life living with our loving and devoted family who take care of their every need. We are located on 10 beautiful acres in Northwest, New Jersey’s Mountains. We have provided a large amount of land fenced in just for our Goldens to enjoy the sunshine and run and play together. English Goldens are the Ultimate family pet!!! 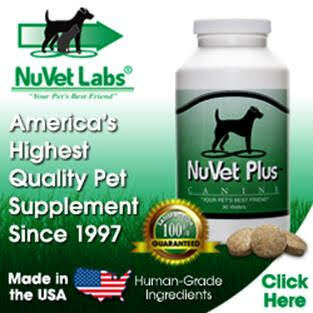 They are very intelligent, kind, loving, fun, obedient, easy to train, and have an exceptional eagerness to please. 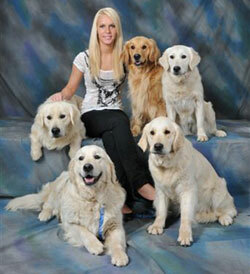 Our Goldens are loyal and devoted companions and are particularly patient with children. You will be amazed with one of our English Golden Puppies who have a calm and mellow temperament. Goldens excel at almost everything. When starting our search for the very best English Cream Goldens we turned to our long time friend Sasha who lives in Moscow, Russia. Being a dog breeder herself she knew exactly where to go, ask the right questions, and read the Russian Pedigrees and Health Clearances. 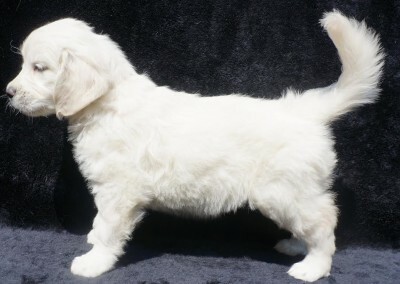 After searching the European Goldens for some time, she found 2 English Cream Golden Puppies who came from the very best breeders in Russia. The puppies were beautiful, friendly and had the International Champion Lines we were looking for. When the time was right Sasha invited Anya to come to Russia where she attended one of the largest dog shows in the world and visited many Golden breeders. An experience Anya will never forget! Then 2 years later Anya flew back to Russia again coming home with another beautiful English Golden. We decided to stay mostly with the Russian Lines as they had the look, temperament, Champion Lines and were happy and healthy. To enhance our lines we imported a few Goldens from the Ukraine who also have the same qualities as our other English Goldens. 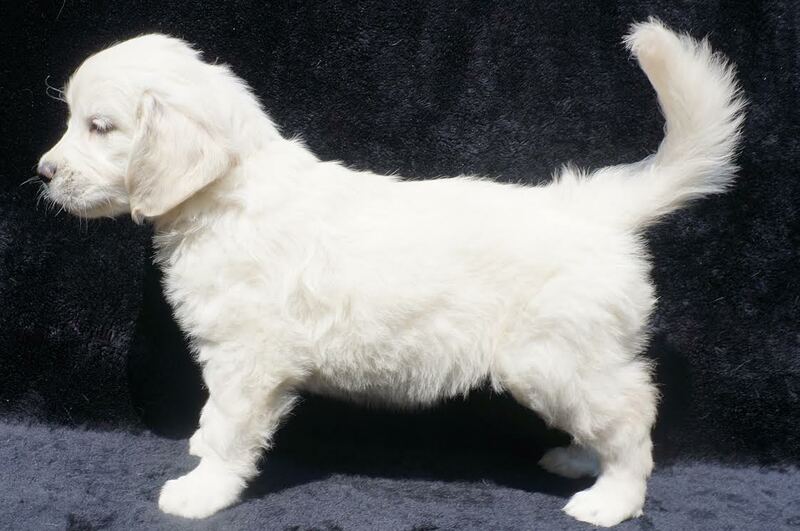 ICEWIND GOLDENS ONLY BREEDS “THE BEST OF THE BEST” ALL OUR GOLDENS HAVE ALL OFA AND ALL DNA GENETIC HEALTH CLEARANCE CERTIFICATES WITH PASSING GRADES. All of our Goldens come from International Champions and International Champion Lines, also with health clearances, mostly from Russia. We spent a great deal of time in choosing our breeding dogs, not settling for the next one available. 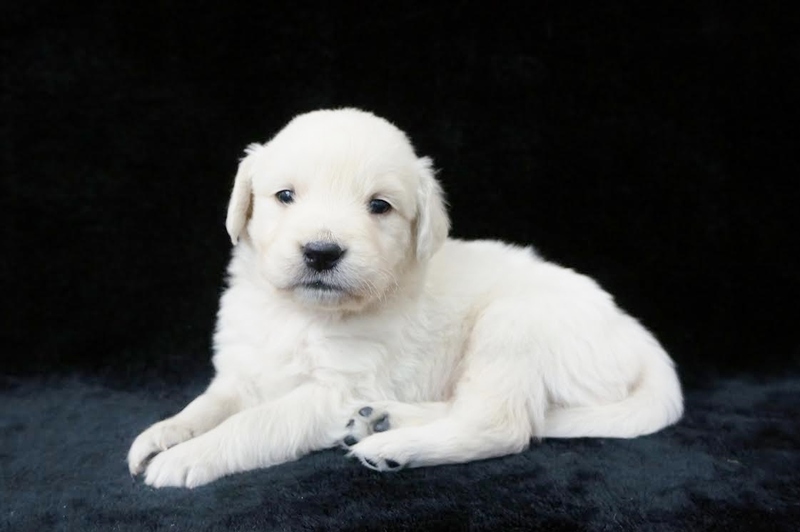 Icewind Golden Puppies are reserved for homes that feel like we do and have their puppy become part of the family and are not “Just a Pet”. ICEWIND IS HONORED TO BE AN AKC H.E.A.R.T. BREEDER – Health, Education, Accountability, Responsibility and Tradition. OFA HEALTH CLEARANCES INCLUDES – Hips, Elbows, Eyes, Advanced Cardiac Echocardiogram, Shoulder Osteochondrosis, Thyroid, Patellar Luxation, Dentation, Verification of Permanent Identification and AKC DNA Certification. Please Note: We only breed Goldens who have Hips that are rated Excellent or Good by OFA, even though there are other acceptable ratings. *Should Osteochondrosis is a OFA Voluntary X-Ray established to identify evidence of Osteochondrosis (OCD) a degenerative Joint Disease (DJD) plus other orthopedic problems. Blindness) PRA_2 – (Vision Loss) Progressive Retinal Atrophy, prcd – (Inherited Eye Disease) – Progressive Retinal Atrophy/ Progressive Cone Degeneration. *ICT is a preventable disease. 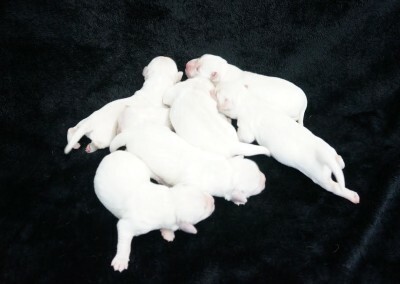 At Icewind we have made a commitment to the breed not to have any ICT affected puppies. Be assured your puppy will NOT have ICT. Why Test? Bringing a new puppy into the family is a financial and emotional investment. 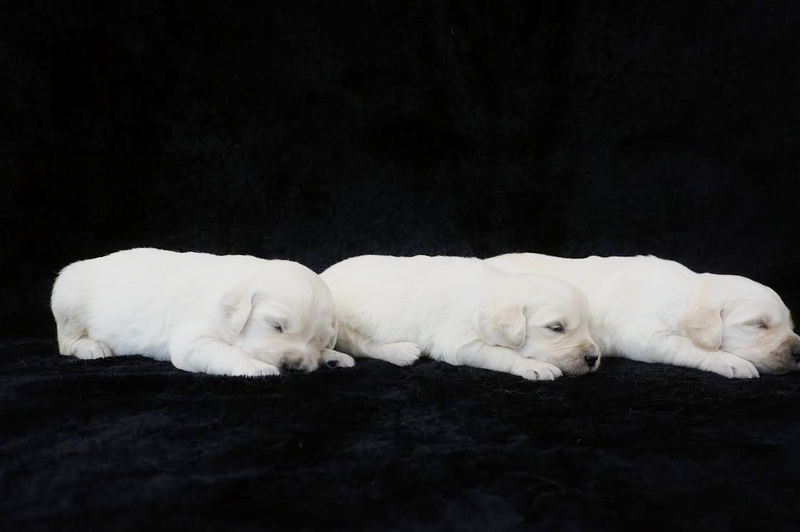 Whether you are a professional dog breeder or simply a careful buyer, a Canine Genetic Health Certificate can help you understand the potential genetic threats to your dog’s health. By testing for all the diseases in both panel’s, you can eliminate the chance that these diseases will be passed on to your puppy through selective breeding. For a better understanding visit our website adult page for the links to the Genetic Veterinary Sciences. ***EARLY NEUROLOCIAL STIMULATION (Also known as the Bio-Sensor Program) first developed by the military to create a more healthy and superior dog. The benefits noted can be found on the Internet. 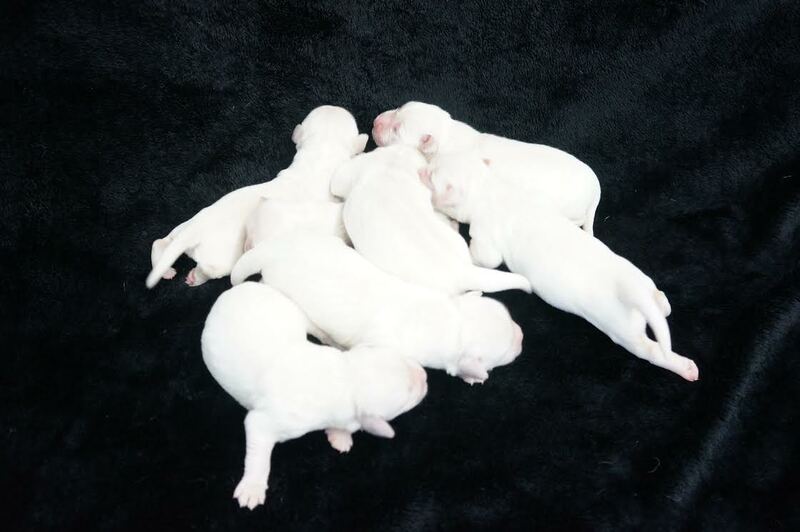 All Icewind puppies receive ENS and are well socialized with grandchildren, other pets, friends and family. 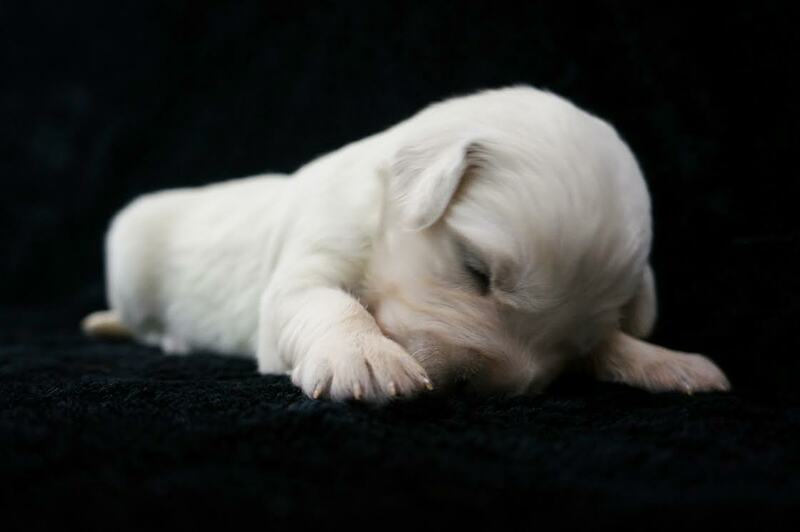 All of our puppies come with a Veterinarian’s Health Certificate so you will receive a happy and healthy puppy. Also included are age appropriate Vaccines, dewormings, AKC papers, a lifetime health guarantee and lifetime breeder support. Please read through our website there is a wealth of information available. We are very proud of our testimonial page where you can read and learn experiences from other people and families who now own an Icewind English Cream Golden Retriever. There are many AKC Titles you can compete for. CGC Canine Good Citizen, S.T.A.R. Program, Therapy Dog, Obedience, Dock Diving, Fly Ball and for children the Junior Classic. More information can be found at akc.org. We believe young puppies should have the opportunity to develop emotionally, socially and physically from the moment they are born. 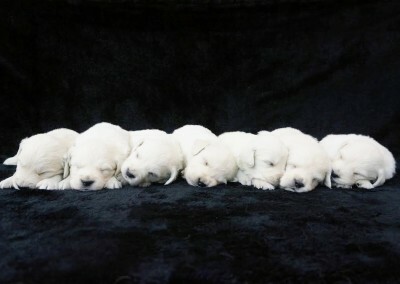 We imprint each puppy daily by touching and handling. It doesn’t take long and we are soon rewarded with lots of puppy kisses. It is believed that early Neurological stimulation enhances a puppy’s development. Originally called the “Bio Sensor Program” these exercises were developed by the U.S. Military for their canine training programs to give the dogs a superior advantage in life. 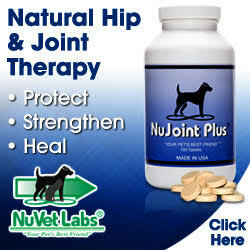 There were five benefits observed in canines that were exposed to the stimulation exercises. Improved cardio vascular performance (heart rate) stronger heart beats, stronger adrenal glands, more tolerance to stress and greater resistance to disease. 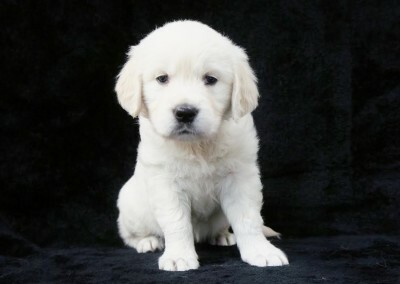 Buying a genetically superior puppy (meaning the most well-bred puppy) will reduce the number of trips to the Veterinarian you have to make in the long run. 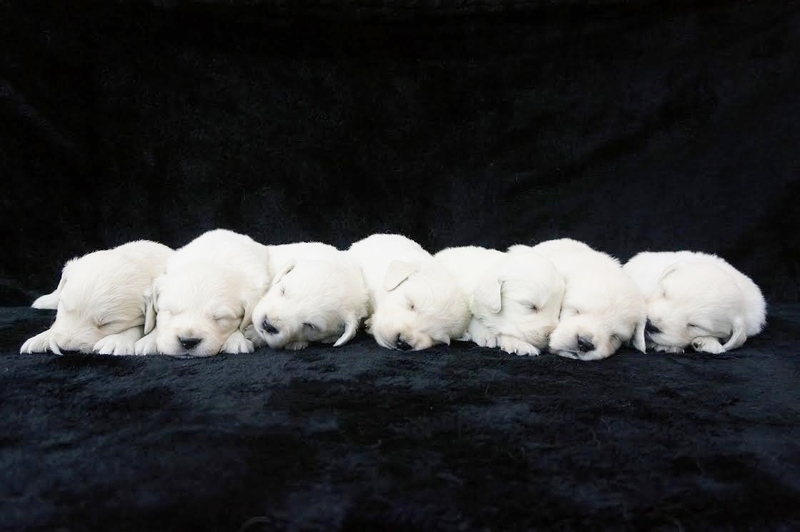 Watch your puppy grow from Newborn to 8 weeks old!!! Accepting Deposits Now on our Upcoming Litters!!! PLEASE NOTE: We spend quality time with our family and our Goldens. There are times when we can’t answer the phone, because our Goldens need our care. Emails are answered on a daily basis. If you have not received a reply from us please email or phone again. I am sure you will agree our family and care of our Goldens must be our top priority. Thank you for understanding, and we look forward to meeting you. 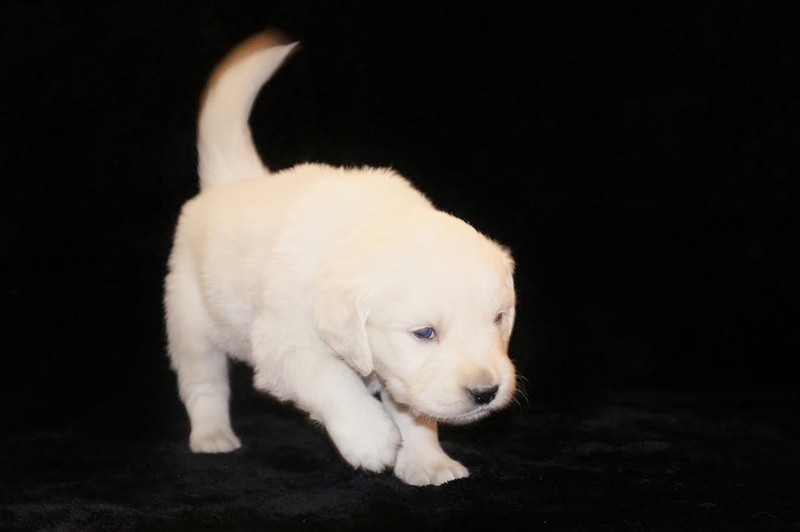 If you are looking for a well-bred healthy, structurally sound and good-natured golden puppy contact us at Icewindtlc@gmail.com.